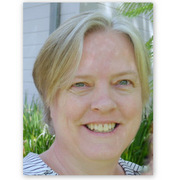 Jayne Mercer: Been a while! It's been a while since I posted here. I can't promise it will be a regular thing but I hope to be able to post here a little more frequently! Not even sure if anyone is still checking in here - wouldn't blame them if they weren't! 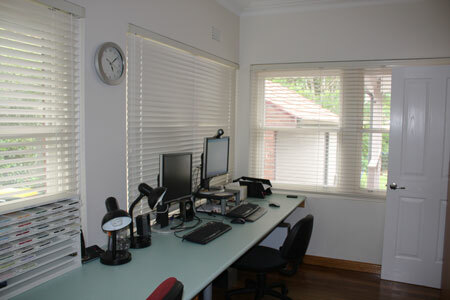 As I mentioned on my Facebook account I have recently done a big clean out of my study. Both craft and family stuff. It took a while but it's looking much better for it. As a few people have asked to see photos I thought I'd post them on here. 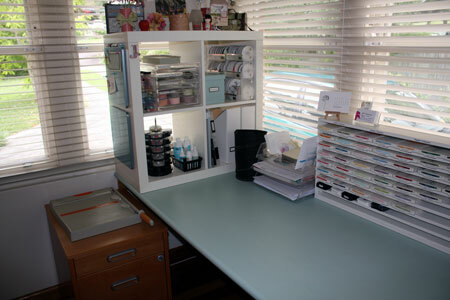 I know that I am really lucky to have a room to create in and I love this space (when it's tidy!) So here goes. Here's the view as you stand in the doorway. The doorway is from the family/dining room and is on the corner of the room. The filing cabinet to the left of my chair is pulled out when I'm using it with the cutter placed on top. 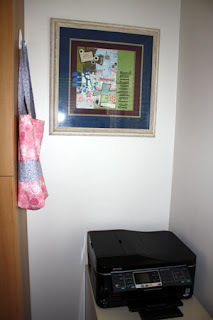 We've just bought a new wireless printer so we moved it to a different corner of the room - you can just see it sticking out - unfortunately we don't have a power socket in that corner yet. If you stand looking the other way back to the door you will see this. Often you'll find two boys sitting here playing Minecraft! After sorting out a few wires it's looking a lot tidier! Whilst viewing the wires and bits of computer hardware from the family room isn't the most attractive view it does mean we can keep an eye on what the boys are up to when they're on the computer. A closer tour of the room. This is the space I create in. It never, ever looks this tidy! As you can see the filing cabinet is pulled out and the trimmer is on top. 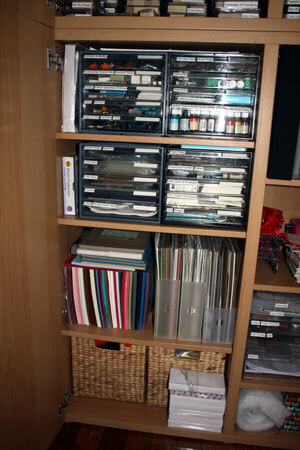 There's another filing cabinet to the right of where I sit - you can see it in the top photograph. 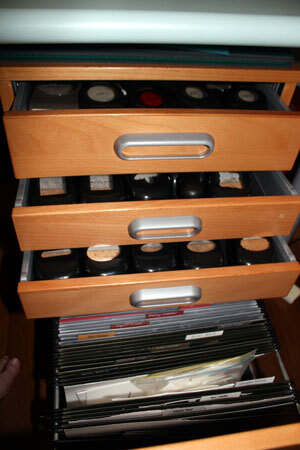 So first off there's my ink storage which I constructed myself! Then a couple of in/out trays - the bottom with scrap paper and then things to sort out etc in the other two. Then my bin. 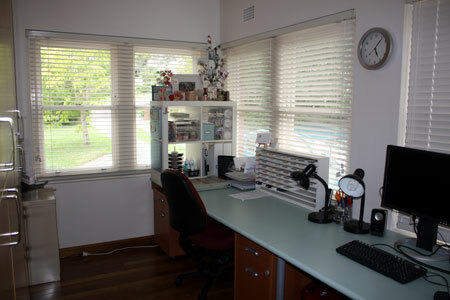 On the end of the desk is one of the Ikea Expedit cubes which fitted perfectly. The problem with so many windows and then a wall of cupboards in the room was that I had very little space to display things. This solved the problem without blocking the light. On top are things I want to display. Then I've got drawers with things I use regularly, my markers, embellishments (whilst it looks like there's room to spare in the carousel there's lots more in the drawer too!). Scorpals, clear blocks, catalogues and inspiration books are on the bottom right with ribbon on the top right. The blue box holds ribbon scraps. On the end I've added two magnetic whiteboard squares I found at OfficeWorks yesterday. They're very cute and a great place for me to pop cards or notes I want to keep for a short time. 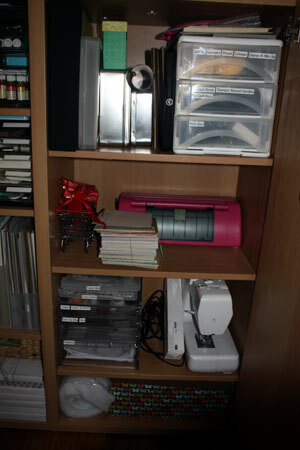 Continuing around the room is the printer corner! The framed picture is actually a jigsaw puzzle collage that was part of a swap I did many years ago with some lovely scrapbooking friends - some of you may recognise your work! Then there's my first attempt at sewing a bag hanging from a hook. When I was demonstrating my apron would hang here too. If you're still reading - well done! If you're anything like me you probably want to look in the cupboards too! 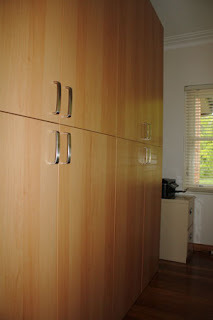 I'm very keen on cupboard doors and love that I have a lot of cupboard space to hide things! Here are the cupboards. There are 8 cupboards altogether. I have the end 4 for primarily SU! things. One of the other 4 is pre SU! and the other 3 are family related. Top right cupboard. Business files from the last 5 years of SU! Scrapbook albums, Wheels, baskets with a few 3D items I hope to one day do something with! Big Shot and dies. I have labelled all the dies so it's easier to read which one is which quickly. Top Left Cupboard. Seem to have missed the top shelf - more completed scrapbook albums, finished cards. Stamps - now I'm operating at a hobby level I've squashed them together more than they used to be. Again these are labelled again - I did this for my crop nights as at night it was hard to read what was there - works well for me too! Bottom Right Cupboard. Has some space in it! Top half is SU! larger tools like heat gun, brayer etc. A few empty tins, paper cutter. That stack of 6x6 DSP is smaller than it was! When I went through what I had from 5 years of SU! I found some that was only one sided so it's been lying around a while! I handed heaps over to Margaret whose making pages for charity. 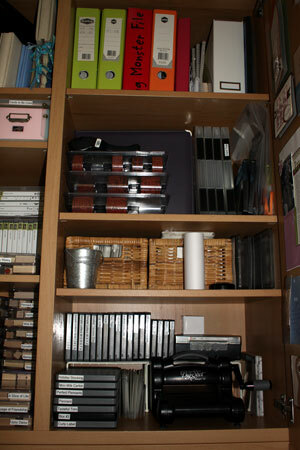 Bottom half is all sewing related with stuffing and wadding on the bottom shelf. Bottom Left Cupboard. 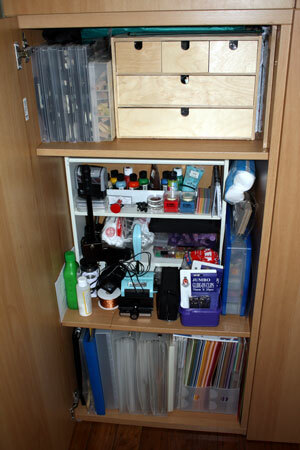 Lots of small things - spare adhesive, reinkers, envelopes, tools, cello bags, acetate etc. Cardstock - hmm perhaps too much! 12x12 paper and patterned paper. Bottom shelf is more material, felt, fleece etc. Still with me! Last cupboard is pre SU! It has been neglected for quite some time but hopefully now I've sorted everything I might be inspired to create more! OK last two photos. This is the filing cabinet to the left of where I sit. On top is my trimmer. I have a smaller trimmer I use too. These filing cabinets are great they are on wheels so can be pushed out of the way. They're from Ikea too. They have one drawer at the top then when you open the larger drawer there are two drawers in there too above the hanging files. 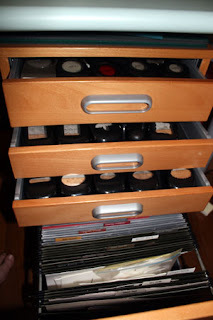 Top drawer is only the things I use all the time - before yesterday it was jam packed full of way too much. 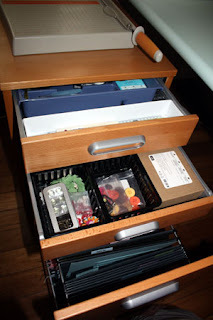 Other drawers are actually quite empty now. They have old embellishments like Pretties and Hodgepodge kits and my watercolour crayons. Bottom files hold two colour families and the In Colors. 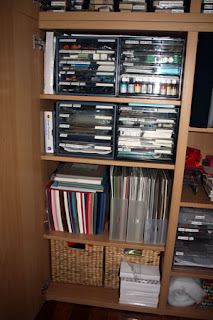 Fililng cabinet to my right holds the other two colour families and other papers like vellum etc. The other three drawers are punches. OK so that's my room. It feels great to have it back to functioning again and to have got rid of a lot of things. As you can see using drawers and baskets and labelling everything works for me. I should probably buy shares in Brother labelling tape! I'm off to edit a few photographs I've got of cards I have created recently and hopefully get back here to post at least one this evening. Please leave me a note if you're still reading my blog as I'd love to know who's following along still. Thanks. Oh the teacher in you is definitely coming out in this very organised room of yours. I love it that you've shared all this with the blogging world. Nice to have you 'back'. I read and I love that you are back creating. The pennant card is nice but I am ready for more of your cards etc. Thanks Jayne for the paper, ribbon and other bits and pieces, I have already started to use them and have now created 7 albums for SCKC. Lovely to see you back online Jayne. Your stamping space looks MUCH too tidy...let's hope you mess it up again real soon with more of your creations to share. Waving a hello - LOVE seeing pics of craft spaces and loved a tour through your room. 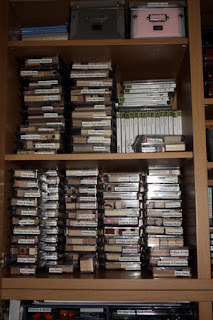 I'm partway through a clean out in mine and have a LONG way to go. Very inspiring to see one all sorted. Happy crafting. Lovely craft space Jayne, would love to have that much space myself!!! Hope to see some creations really soon. Looks fantastic Jayne... that is a awesome space to stamp in! Love your crafting space Jayne. So bright and airy! I am looking forward to seeing more of your lovely creations here too. 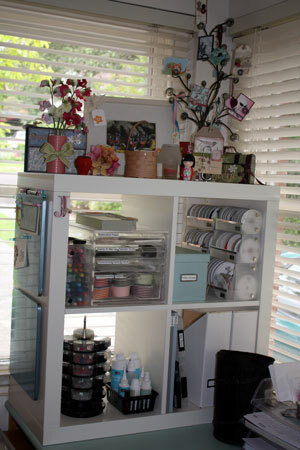 What a lovely crafting space! Wow! Love your space. Nice to see you back.